Posted: Sunday, June 14, 2015. 6:09 pm CST. 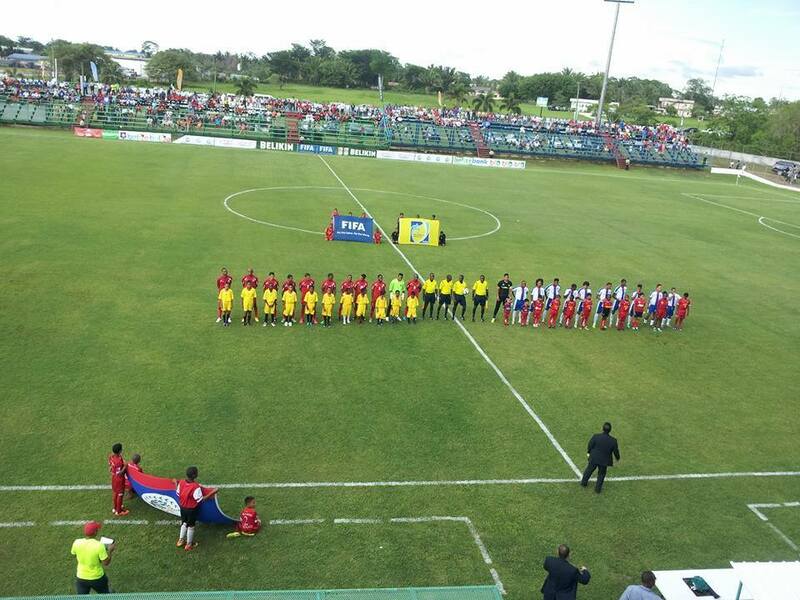 BELMOPAN – The national football team of Belize secured passage to round three of FIFA World Cup Russia 2018 qualification, defeating the Dominican Republic 3-0 at the FFB Stadium here this afternoon before a capacity crowd. The Jaguars were defending a 2-1 lead from the away leg in Santo Domingo, but coach Jorge Nunez and his staff decided to press the issue and attack the higher ranked team, a decision which turned out to pay maximum dividends. In the 16th minute, Harrison Roches found the target for the first goal which beat keeper Baez at the near post. Belize played stingy defense and countered relentlessly, and in the 37th minute Elroy Kuylen, who scored the free-kick that sent Belize here, hit a wicked left foot that found the right corner. The Dominican Republic pressed to start the second half, but their attacks came to nothing and Deon McCauley sealed victory in the 77th minute from a header after a neat exchange with Khalil Velasquez. The Jaguars now await their next opponents. Congratulations!